The creators of Patriots Plantation envisioned a special place where nature, friends and families could come together to enjoy the beautiful Low Country outdoors in a tranquil setting where rush hours and daily routines simply don’t exist. That vision became a reality is obvious to anyone who visits these extraordinary 1,886± acres in historic Williamsburg County, South Carolina. Now someone will have the opportunity to make this plantation their own on August 25 when it will be offered to the highest bidders at an absolute auction, regardless of price. 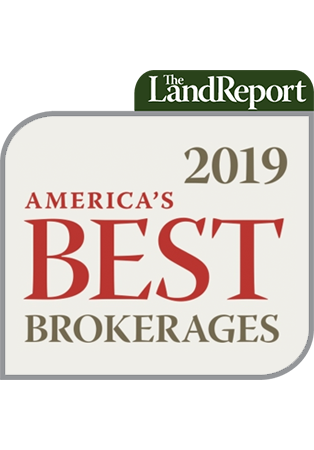 This one-of-a-kind opportunity will be conducted by The National Auction Group, Inc. of Gadsden, Alabama, a company with years of experience marketing farms and ranches. Located at the southern tip of South Carolina’s Pee Dee district and only 45 minutes from Myrtle Beach, Patriots Plantation is one of the finest facilities of its kind in the South. 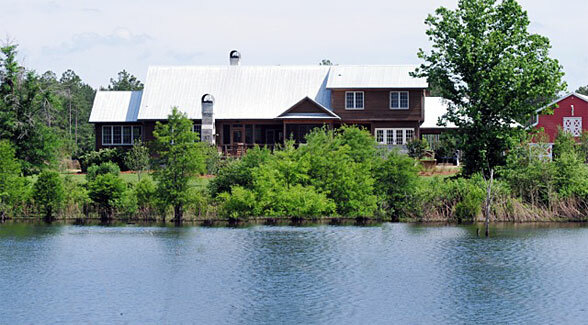 Fenced and gated, the property is blessed with roughly 7 miles of water frontage, plus lakes and ponds. More than 15 miles of maintained roads are already in place. The main entry gate can be conveniently controlled with remotes, a key pad, or a cell phone. Patriots Plantation is well known for its duck, quail, and deer hunting as well as its trophy fishing. The highlight is the beautiful and spacious main house that was built with the finest materials and with meticulous attention to detail. 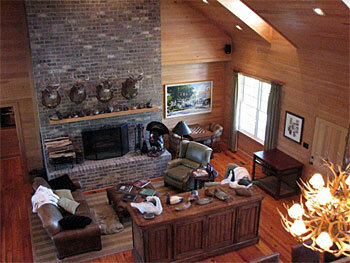 The centerpiece of the home is a massive den that blends perfectly with the gorgeous natural setting. Its special features include a stone wood-burning fireplace, a large bar with refrigerator and ice maker, and a 10-person dining table for large family or corporate gatherings. Equally special are the fully-equipped gourmet kitchen with wine captain and the huge master suite that features a marble steam shower, a pair of walk-in closets, an office and a gym. There are also two additional bedrooms with their own baths and sitting areas, a large laundry room and both a screened porch and deck. 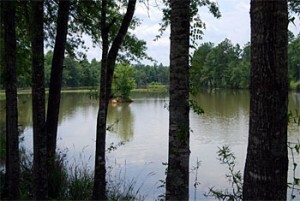 Numerous other structures and amenities can be found on the plantation.